For a while now I've been frustrated with the lack of organisation with the bath toys, I like the kids to participate with the clean up but it was hard for them when the toys couldn't fit into the toy bucket. We ended up having toys all over the place, it was a huge mess! This is what is used to look like. A quick trip to Masters with the kids resulted in a few items purchased: tension shower rod, curtain rings, cable ties, cutlery holder and four peg baskets which I drilled holes in for the water to drain. 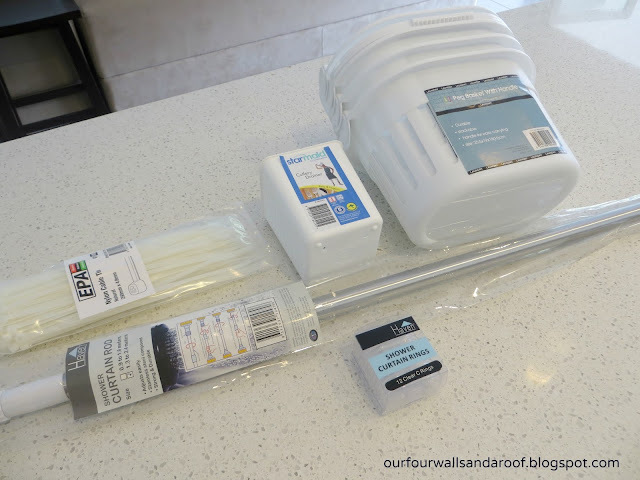 I could have chosen blue peg baskets but as this bathroom runs closely off our hallway, I didn't want anything distracting in case the bathroom door wasn't closed. 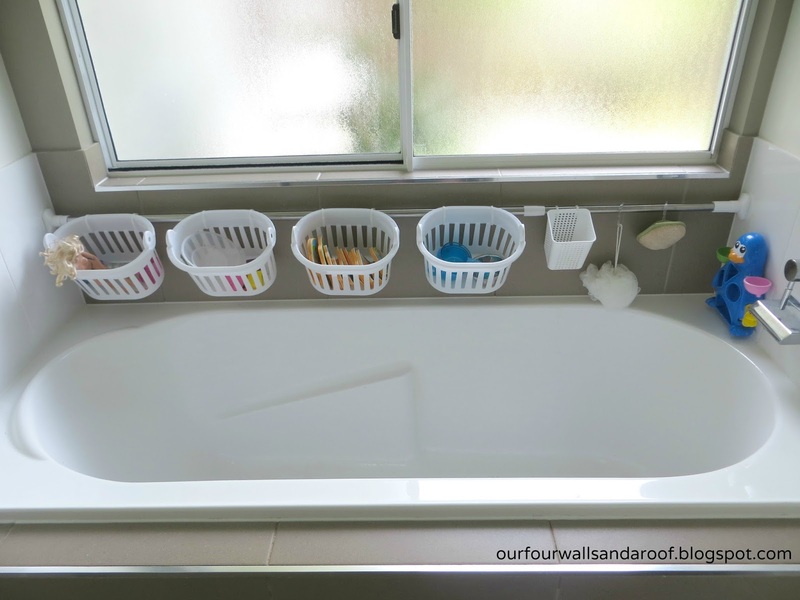 The kids now have four baskets for their toys, the soap is located in the cutlery holder and both shower hooks hang up body scrubbers. I wish I had taken a photo of my 6 year old daughter's face when I showed her, she had the biggest smile. She can't wait to test it out tonight. 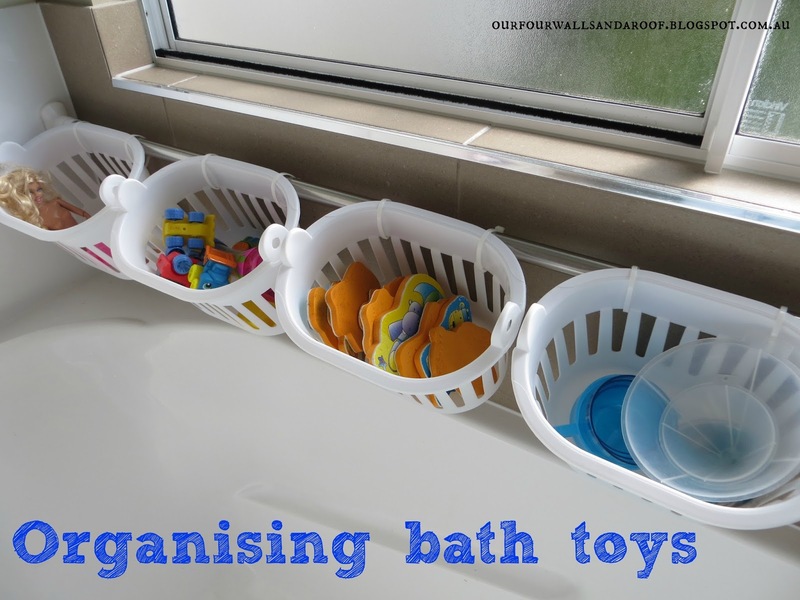 How do you organise your kids bath toys? Wow, that looks fun! 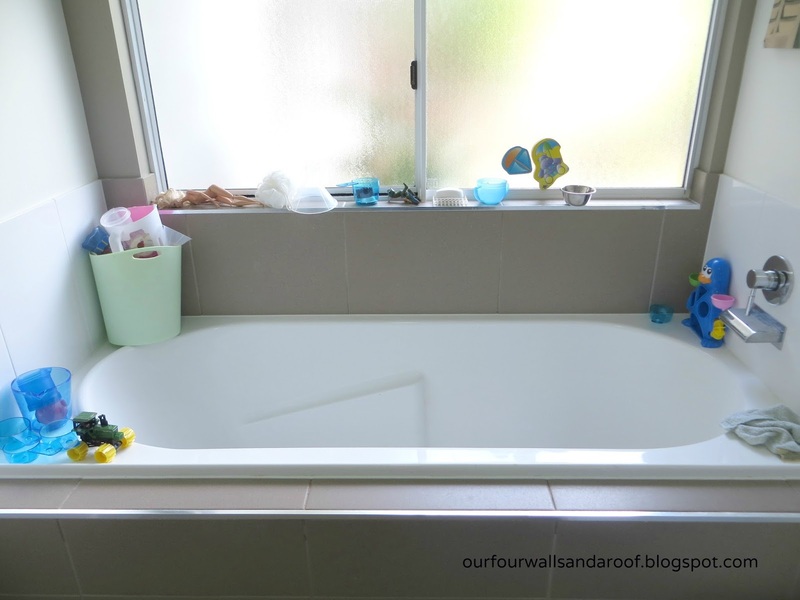 Awesome post, Bath toys are so much fun these days.